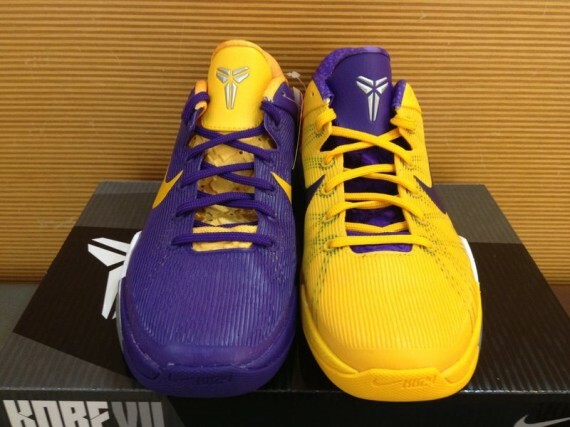 Nike Zoom Kobe VII "Snake Pool"
“Snake Pool” finds itself back in the Nike Zoom Kobe series this year, with a special colorway featured on the VII model. 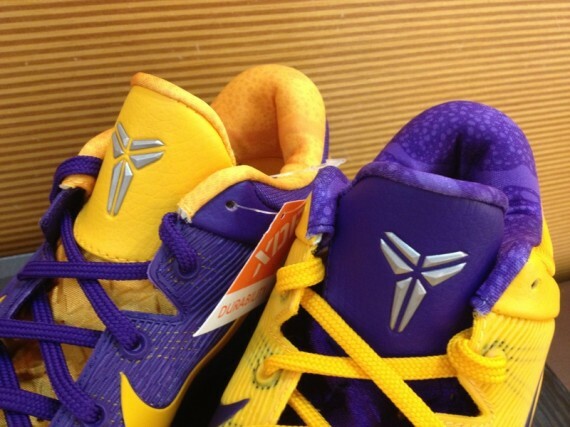 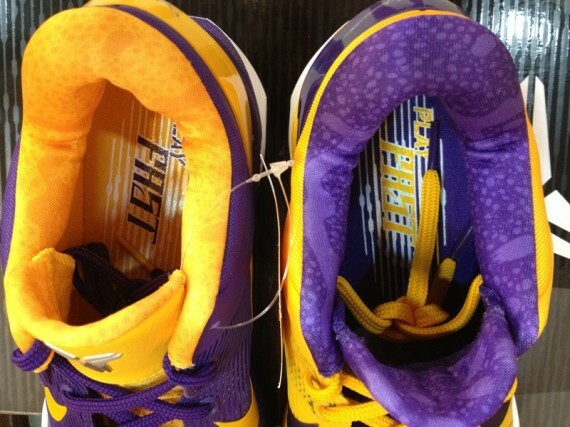 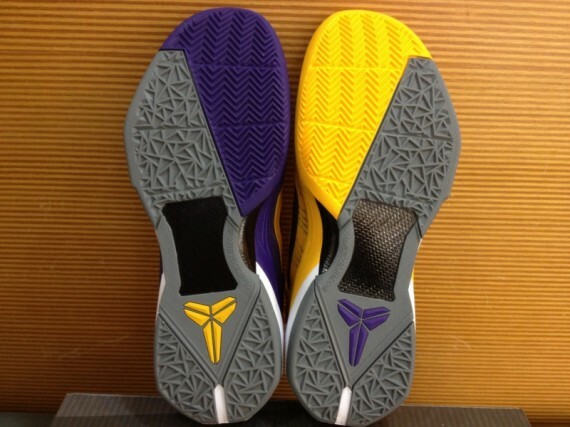 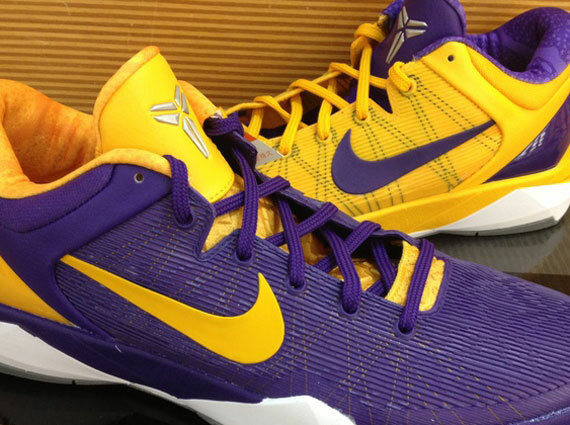 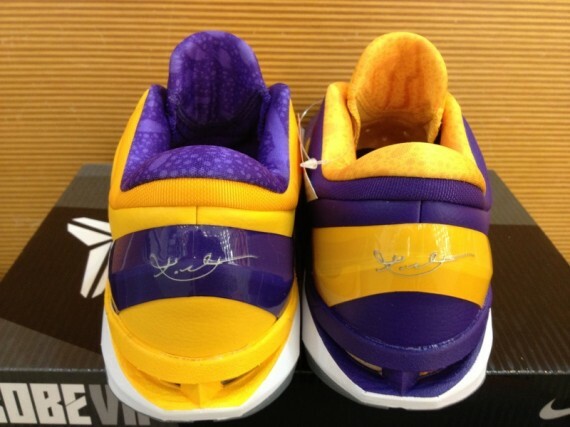 The Kobe VII “Snake Pool” offers a set of kicks featuring alternate colors on the left and right shoe, displaying the Lakers theme of Yellow, Purple and White. 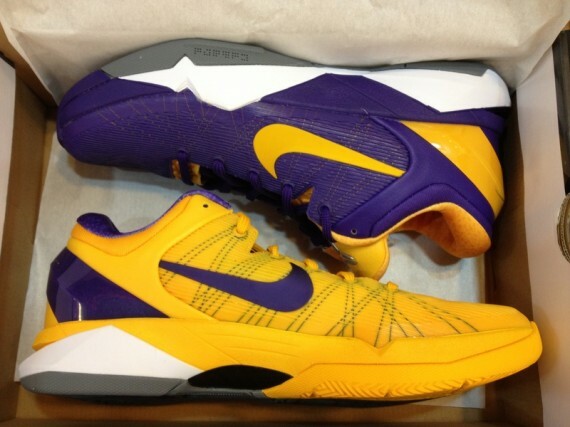 These are set to release later this year so let us know if you’ll be copping.